Early yesterday morning, I made my way by train to Pulborough for a company annual camping event. 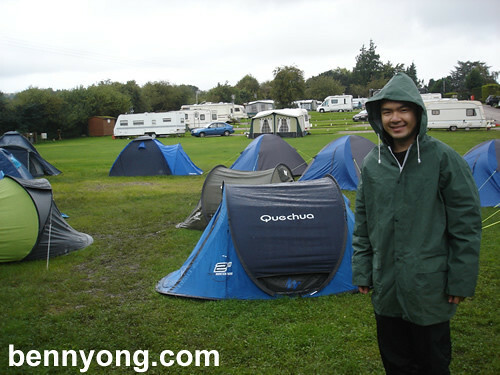 Apparently it is already in its fourth year and was held at Washington Caravan and Camping Park. 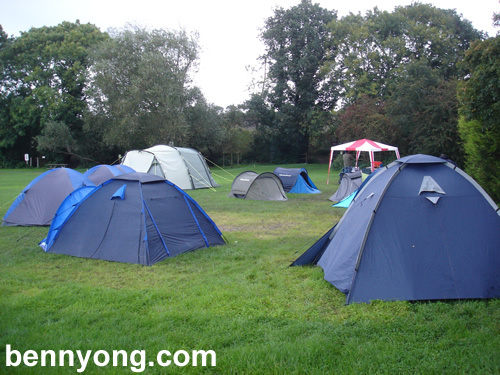 Once we have arrived at the site, we started getting the tents up despite the weather. After having sandwiches for lunch, it was then straight to a farm in Brighton whereby we did our charitable work by clearing off weeds. The farm is run by volunteers and we managed to achieve a lot despite finishing earlier as it started pouring. I did not bring any waterproof gear but thank god the team had bought spare ones. We soon head back to the campsite where we had dinner at a pub as everyone is tired and could not be bothered with having a BBQ but agreed that we need a campfire. In my life experience, we had the best fire ever despite going in and out of the canopy for shelter during the rain. Woke up next morning to a heavy downpour and freshen up using the facilities. The fire was still going on and everyone voted to return home. We started packing up and by 10.00 a.m, all of us were at McDonald's along the highway for breakfast. I was soon drop off at the station by a very kind colleague. 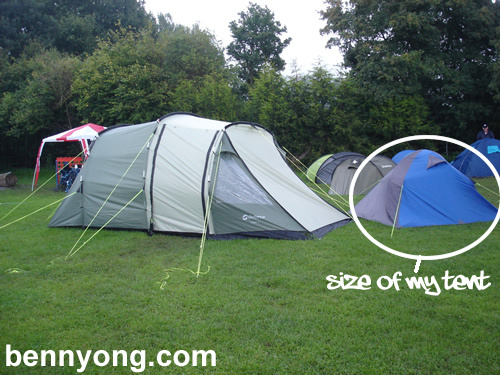 One thing worth mentioning with all our tents at the site, there was this one that dwarfs us all. Look at the size of it, I am sure we can have a fully fitted kitchen, living room and etc in there.